In an apparent departure from “generally accepted accounting principles,” federal agencies will be permitted to publish financial statements that are altered so as to protect information on classified spending from disclosure. The new policy was developed by the government’s Federal Accounting Standards Advisory Board (FASAB) in response to concerns raised by the Department of Defense and others that a rigorous audit of agency financial statements could lead to unauthorized disclosure of classified information. 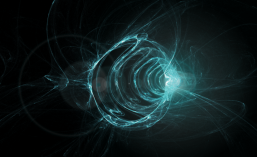 Agencies may also shift accounts around in a potentially misleading way. “A component reporting entity is allowed to be excluded from one reporting entity and consolidated into another reporting entity. The effect of the modifications may change the net results of operations and/or net position.” See Statement of Federal Financial Accounting Standards 56, FASAB, July 5, 2018 (final draft for sponsor review). In response to an earlier draft of the new standard that was issued last December, most government agencies endorsed the move to permit modifying public financial statements. “The protection of classified information and national security takes precedence over financial statements,” declared the Central Intelligence Agency in its comments (submitted discreetly under the guise of an “other government agency”). “It is in the best interest of national security to allow for modification to the presentation of balances and reporting entity in the GPFFR [the publicly available General Purpose Federal Financial Report],” CIA wrote. But in a sharply dissenting view, the Pentagon’s Office of Inspector General said the new approach was improper, unwise and unnecessary. It “jeopardizes the financial statements’ usefulness and provides financial managers with an arbitrary method of reporting accounting information,” the DoD OIG said. “We do not believe that… the Board’s proposed guidance would effectively protect classified information, comply with GAAP [generally accepted accounting principles], or serve the public interest,” the DoD OIG wrote. The Kearney & Company accounting firm also objected, saying that it would be better to classify certain financial statements or redact classified spending than to misrepresent published information. “The integrity of current GAAP as it applies to all Federal entities should be retained,” Kearney said in its comments. But the FASAB ultimately rejected those views. “The Board determined that options other than those permitted in this Statement may not always adequately resolve national security concerns,” according to the final draft of the policy, which the Board provided to Secrecy News. The new accounting standard is expected to be approved by the FASAB sponsors — namely the Secretary of Treasury, the Comptroller General, and the Director of the Office of Management and Budget — by the end of a 90 day review period in October. Last month, the FASAB issued a separate classified “Interpretation” of the new standard that addressed the policy’s implementation in detail. The contents of that document are not publicly known. Posted in Disclosure, Full Disclosure Now, Pentagon, The Event. NORTHERN VIRGINIA — If evidence proving that extraterrestrials visited Earth has been squirreled away behind locked doors in Nevada, a former Pentagon official is calling for a big reveal. 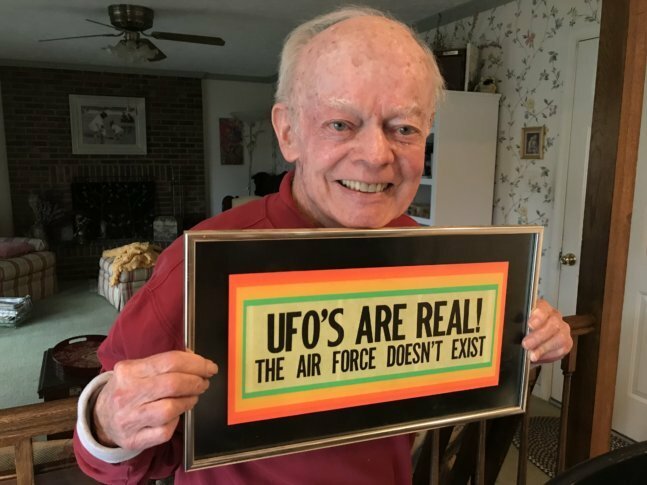 Shea, 80, was the Air Force’s press spokesman on UFOs at the Pentagon from 1967 to 1971. He considers himself an “agnostic” when it comes to whether some unidentified flying objects are ships piloted by intelligent beings from faraway worlds. 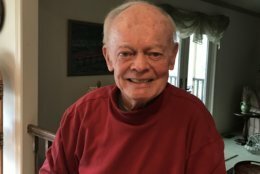 “I would believe if I saw some evidence that showed we were visited by alien spacecraft, but there hasn’t been evidence to my mind of such,” he said in an interview at his Northern Virginia home. 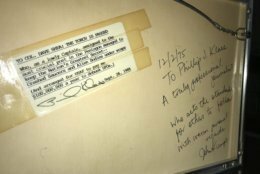 In 1969, Shea wrote the news release that announced the end of Project Blue Book, an Air Force investigation of more than 12,000 UFO reports. It concluded that there was no threat to national security, no sign of advanced technology and no evidence that UFOs are extraterrestrial. And with that, it appeared to the public that the government had washed its hands of UFOs. But in December, almost 50 years after Project Blue Book ended, came explosive news. The New York Times reported that Bigelow Aerospace had been storing material recovered from “unidentified aerial phenomena” in its buildings in Las Vegas as part of a secret Pentagon UFO investigation project called the Advanced Aerospace Threat Identification Program (AATIP). Shea was not surprised by news of the project’s existence, but he thinks if more people were aware of the government’s history with UFOs, they would better understand why, in his opinion, the government should not get involved again. “The UFOs never seem to go away,” he said. What is considered the modern UFO era began as Americans’ Cold War fears of the Soviet Union were heating up. In 1947, a veteran pilot flying near Mt. Rainier in Washington reported seeing nine strange objects flying in formation at incredible speeds. The sighting made national news, and the same year, the Air Force (still the Army Air Forces at the time) began investigating — with intelligence officers in charge — reports of UFOs. “They really weren’t sure what was going on. 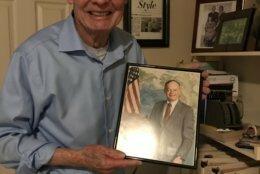 But by the end of ’49 they quickly became convinced that there was no threat, and there was no visitation, there was no advanced technology, and that was a good time to get out of the business, but they didn’t,” Shea said. Scientists were asked to evaluate if the work should continue, first by the CIA in 1952 and then by the Air Force in 1966. The latter study was led by physicist Edward Condon of the University of Colorado. “He concluded that the continuation of Project Blue Book is of dubious value,” said Shea. 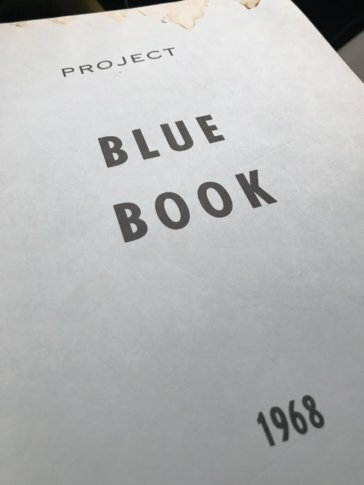 In all, Project Blue Book examined 12,618 sightings reported between 1952 and 1969. Over 5 percent of those sightings — 701 — remain unidentified. “Does that mean they were spacecraft from another civilization? No, not necessarily. It just means there was not enough data to verify what they were. So that’s the problem,” Shea said. 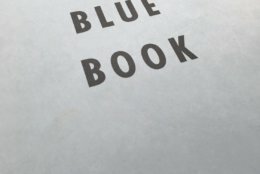 Interestingly, “Project Blue Book” is the name of a new drama series that will begin airing this winter on the History Channel. “It would appear that it will be more fiction than fact,” Shea said after reviewing promotional materials. 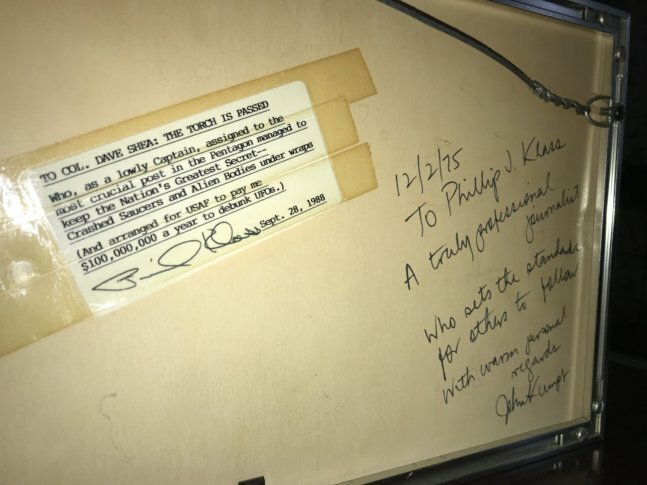 Shea said that Project Blue Book investigations were never top secret, and that in real life, Hynek was hired by the Air Force as a special consultant on UFOs, not to “spearhead” Project Blue Book. 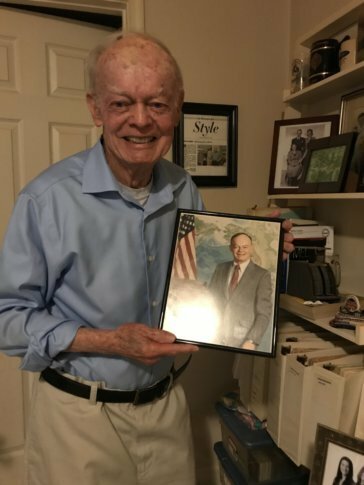 Shea is a public relations pro who spent 29 years with the Air Force and another 20-plus years working for Hughes Aircraft and, later, Raytheon. 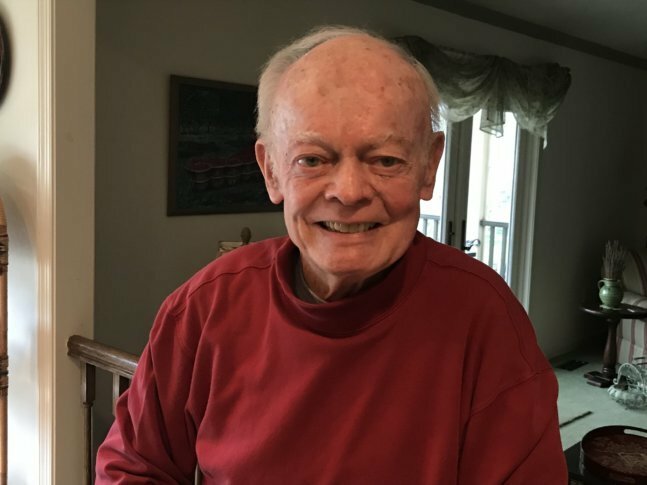 To complete his master’s degree in mass communication from the University of Denver in 1972, he wrote his thesis about how, from a PR perspective, the Air Force handled reports of unidentified flying objects. In the 1940s and ’50s, UFO sightings that got press attention would prompt a quick explanation from the Air Force. “In those early days, any explanation of a sensational case seemed preferable to the Air Force than simply saying, ‘We don’t know at this point, the case is still under investigation,’” wrote Shea. And because Air Force intelligence was kept in charge of the investigations, Shea said, there was unnecessary secrecy. “You know the intelligence people won’t tell their mother anything. They keep things close to the vest,” he said. Of course, the Air Force’s actions led to questions and skepticism. 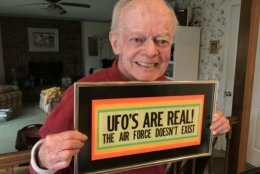 In its defense, Shea points out that the Air Force was placed in the impossible position of trying to prove that aliens are not whizzing around above Earth. “You can’t prove that something doesn’t exist. Why doesn’t the other guy prove that it does exist?” he said. He also thinks the Air Force has been misunderstood. “The Air Force has never said that UFOs aren’t spacecraft from another civilization. What the Air Force has said is that there’s no convincing evidence that they present a threat, or they advance scientific knowledge, or that they are alien spacecraft. Convincing evidence is the key, and that’s what we don’t have,” said Shea. What evidence would convince him that extraterrestrials have visited this planet? Despite what he called “exhaustive” investigations and studies of UFOs, Shea said, the government has come up with nothing. “No eureka moment. No threat. No advanced technology. No alien spacecraft,” he said. According to the Department of Defense, AATIP ended in 2012, but journalist Leslie Kean reports there’s evidence that the program is continuing without federal funding. Some argue that UFOs determined by Project Blue Book to be unexplained should be reinvestigated. “I submit it wouldn’t reveal anything new. There’s not enough data there to analyze and determine causes,” said Shea. To The Stars Academy of Arts & Science — a public benefit corporation co-founded by musician Tom DeLonge and launched last year — is pursuing its own UFO research. It includes several former government higher-ups and is accepting money from investors. Asked if he’s ever seen a UFO, Shea said no. “You’d think with all my interest or experience in this, a friendly visitor would come visit me. Hasn’t happened,” Shea said, laughing. Video produced by Ginger Whitaker. Posted in Disclosure, Full disclosure, Full Disclosure Now, Pentagon, The Event.